Nighthawk Dura-Core rubber tracks are built strong for maximum performance in all types of terrain and operating conditions. We combine superior technology, expert manufacturing, and premium materials to create a product you can trust. Our goal is to eliminate your downtime. 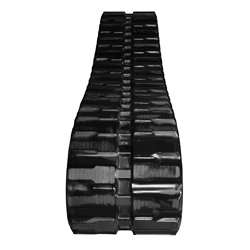 Nighthawk Dura-Core rubber tracks deliver the ultimate in performance, reliability, and value; making Nighthawk Dura-Core rubber tracks the ideal choice for compact track and multi-terrain loaders.